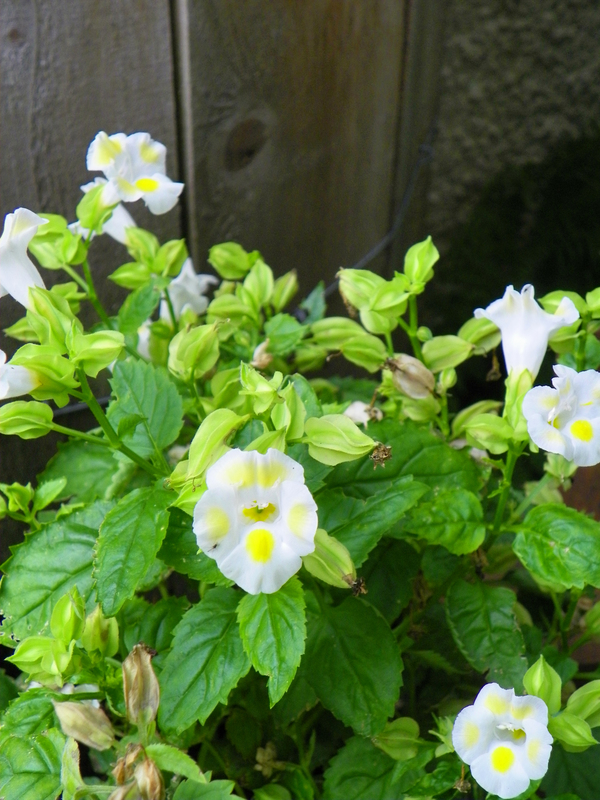 Torenia ‘yellow Moon’. It’s easy to see where he gets the common name of wishbone flower. Shade is common among us plant lovers, especially those of us who adore and overplant trees and shrubs in our yards. Shade can be limiting, though, especially when it comes to infusing color and how many pots of impatiens and begonias can you plant, year after year, and remain enthused? Many Torenia have been hybridized over the last few decades and I am unsure of this lovely variety. As you can see, the leaves are interesting and reminiscent of aspen leaves. So, I was excited to discover the joys of the fun little Torenia, commonly know as the wishbone flower and sometimes the clown flower and when you get up close and personal I think wishbone flower will stick in your garden lexicon. The little anthers arch up to form what appears to be a fragile little wishbone. Sometimes the wishbone will be broken, as the bees break the gentle filament when they feed and I consider this great luck when I happen upon it. Yellow Torenia. 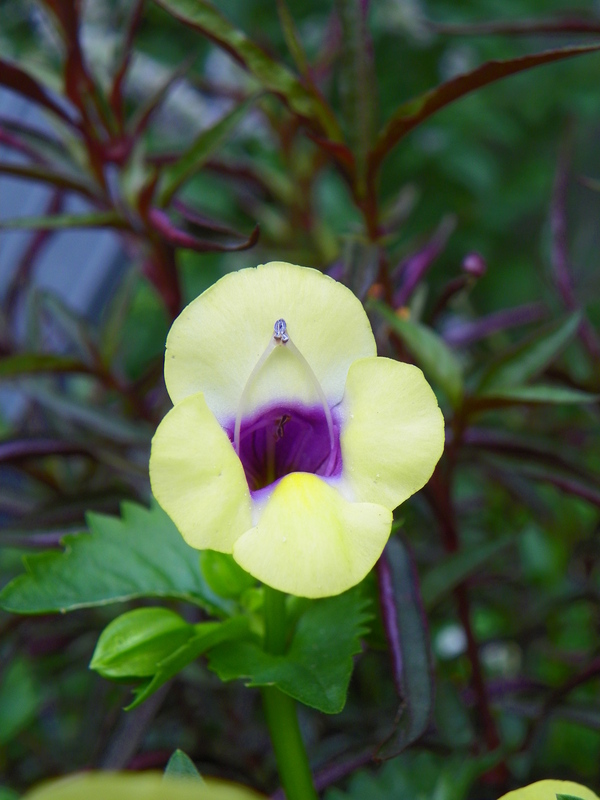 The wishbone flower does well in shade containers and though the flowers will be less prolific, even the spent blooms are interesting. Water, water, water well! 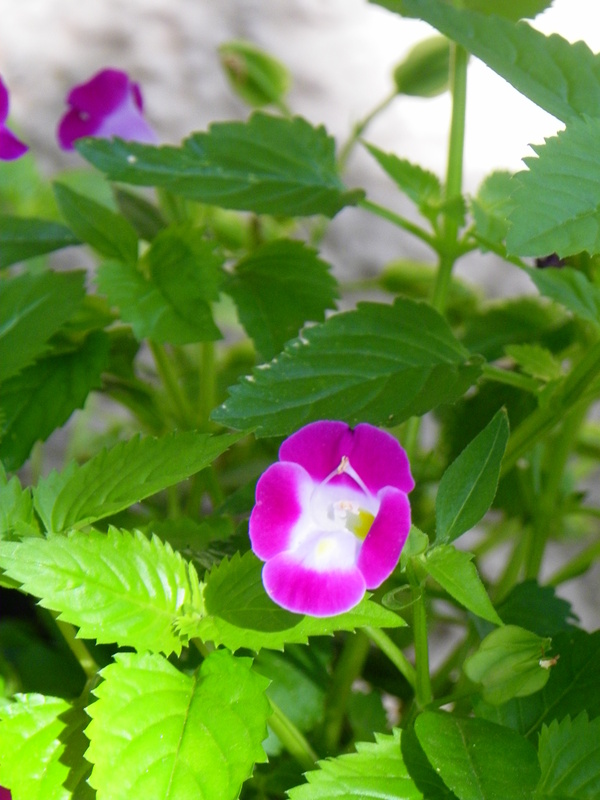 Overall, from my experience, I would classify Torenia as shade-tolerant, but also tolerant of full sun if kept well-watered. Watering is the key and if he is allowed to dry out in even in the shade, he quickly fades and droops and turns a little crunchy … quickly. In sun, the show of flowers is non-stop, all summer, and is endlessly cheery. In shade, even full shade, the foliage remains lush, and the foliage is nicely textured and the heart-shaped, jagged-edged, verdant-green leaves resemble tiny Aspen or birch leaves. The flowering in the shade, from my experience, occurs in waves. A plant of full flowers, then nothing, then another bustle of flowers, then they’re gone. But they always return. Faithful, but intermittent. ‘Yellow Moon’ Torenia with Alternanthera or Purple Threadleaf makes a festive container and if well-watered, lives happily in full sun. 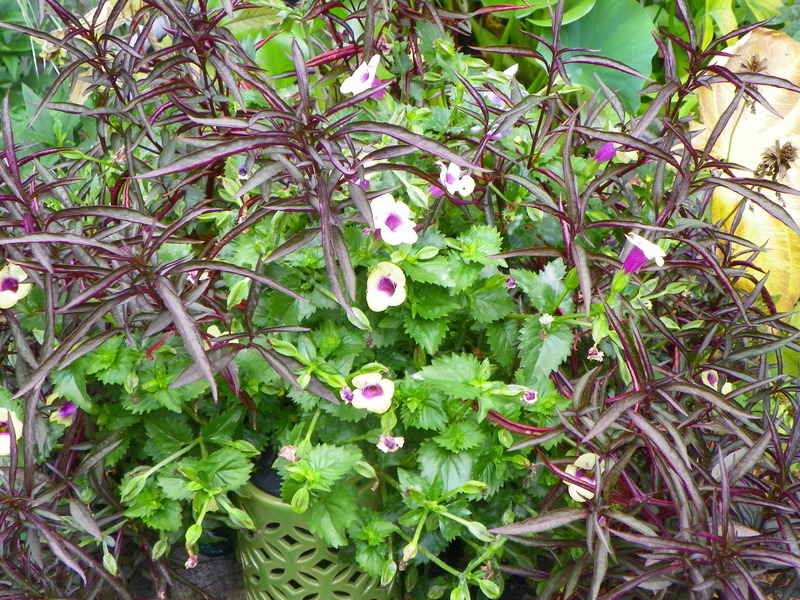 Use torenia as a festive filler in your containers and pepper him throughout your shade gardens for color and interest. 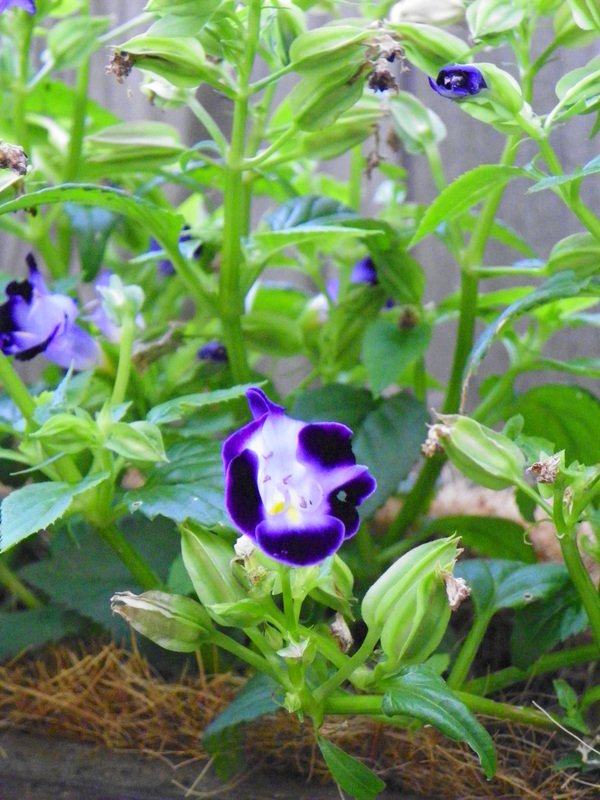 ‘Duchess Deep Blue’ Torenia is a striking accent. The flowers are almost snapdragon-ish.